The most basic requirements for disability are that you cannot work any job for a period of at least 12 months and you have a severe impairment as defined by the Social Security Administration. If you are denied, a Baltimore Social Security lawyer may be able to help, but the following are answers to some frequent questions about applying and appealing. How Does the SSA Decide Whether I’m Eligible for Benefits? You stand a good chance of being approved if you are not working; have a severe impairment that will last at least 12 months or result in death; are unable to work; and your impairment meets one of those in the SSA’s listings. Is There an Optimal Time for Applying? Generally speaking, you should wait 6-9 months after you stop working before applying. The exception is when you know from the outset that the disability will be long-term. 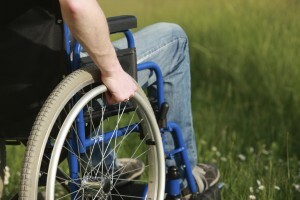 You don’t normally need a Baltimore disability attorney to help with the application. At What Point Should I Consider Hiring an Attorney? Usually a claimant doesn’t hire a lawyer until he has been denied at the initial reconsideration stage. The best time is prior to the hearing. If you lose, your lawyer may request that the Appeals Council review your case. You can expect to pay 25% of any back benefits up to a maximum that is established by the Commissioner of Social Security. It may take up to two years from the time you request a hearing to the rendering of a decision after it takes place. Many applicants are denied initially, so you should not give up. Get in touch with a Baltimore Social Security lawyer to arrange a consultation by calling Disability Benefits, Inc., at (800) 848-6210.